Most of us play it safe. We put our passion on the back-burner and ponder the what-ifs – the life that could have been. The minority stay put in their full-time job and work on their business as a side hustle, while sacrificing sleep and comfort for their imminent success. Sarah Giblin belongs to neither of these groups, because she walked away from her job to follow her passion full-time. The 32-year-old could be called many things, and ballsy would be one of them. It all began when an idea erupted in her mind. Unlike procrastinators who would have hummed and hawed over its feasibility, Sarah decided to get cracking. Right when she hit her savings goal for prototyping, she handed in her resignation letter and launched straight into her new venture. 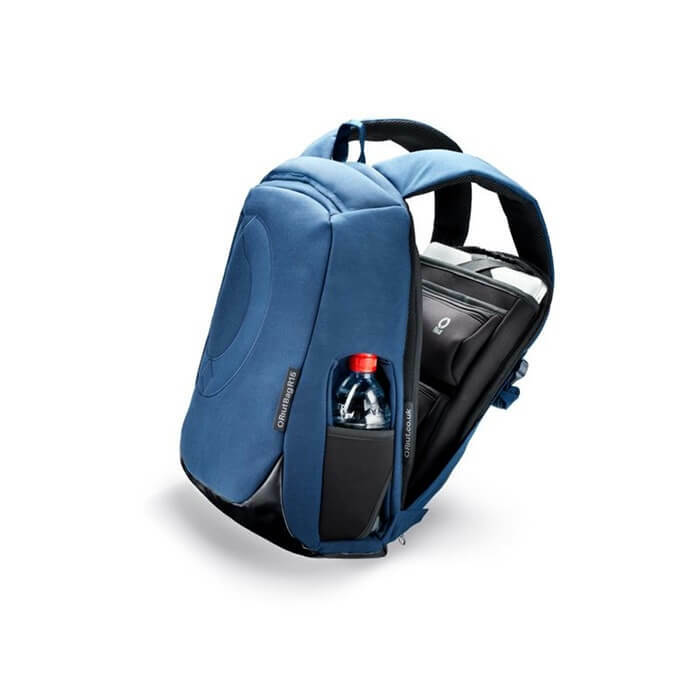 That new venture is called RiutBag, and it’s a revolutionary backwards backpack for secure city travel. 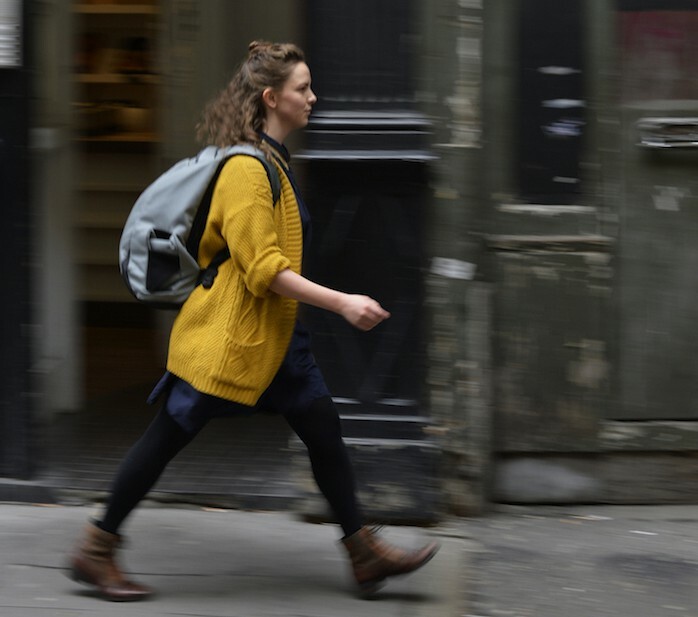 “I left my job in March 2014 with only my savings and this idea that urban backpacks are the wrong way round,” Sarah says. Describing her resignation as an “extreme move”, Sarah felt that it was the only way to dragoon her into making her business work before exhausting her savings. It pushed her to complete the logistics of the RiutBags at an expeditious rate, and eventually advance to the crowdfunding stage. The bold move paid off. People from around the world were using the RiutBags within 12 months of Sarah leaving her job. 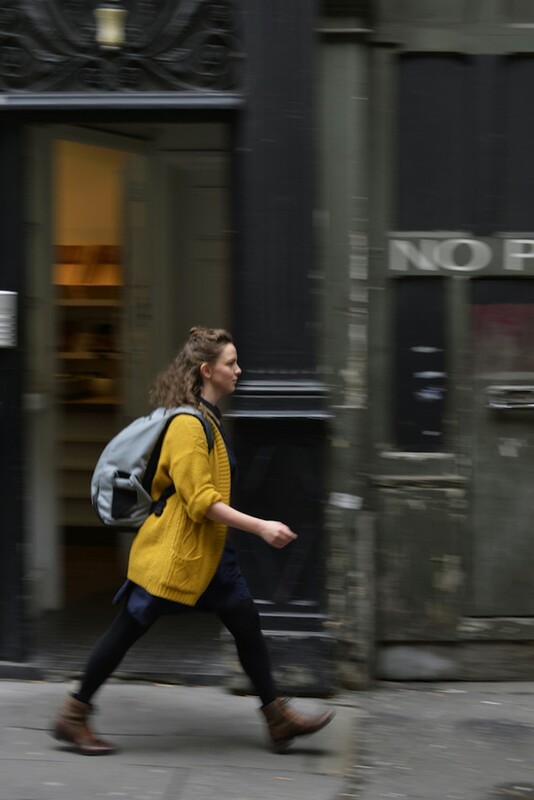 Strolling down with a bag on our back in a crowded street is a tricky feat. A mere look at a densely populated city sends us into a paranoid state, with dozens of irrational thoughts floating around in our head. The RiutBag is a whip-smart solution to our incessant worrying – it’s equipped with hidden zips and pockets. These openings are against our back, which also makes them inaccessible to the people walking behind us. 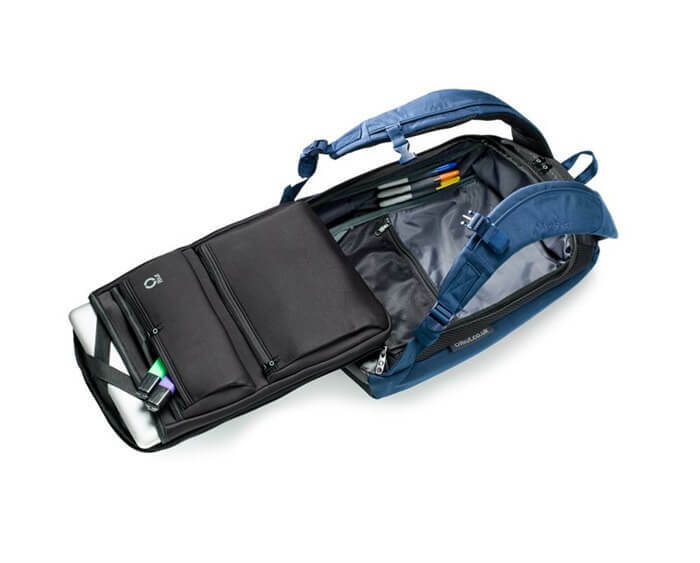 This year, the startup released two new RiutBags: the R10 and R15. 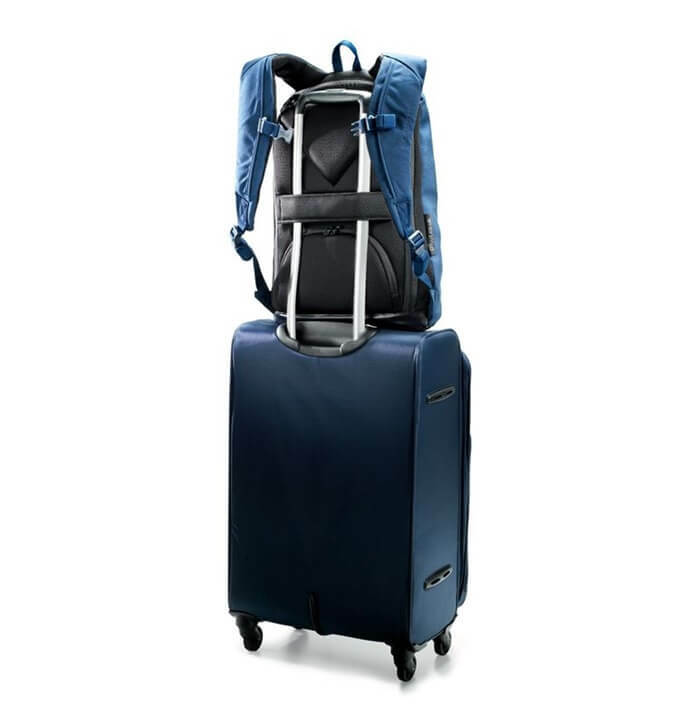 Both editions are laptop backpacks with well-designed features like a trolley suitcase strap, and a D-shaped pocket that holds our smartphone, passport, and train tickets. 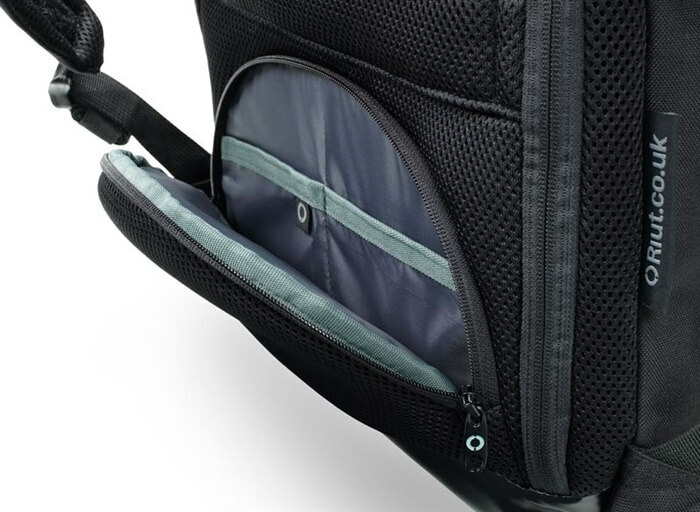 It would be unjust to pigeonhole Riut as an anti-theft bag. It sends a negative message, when it’s so much more than it looks. 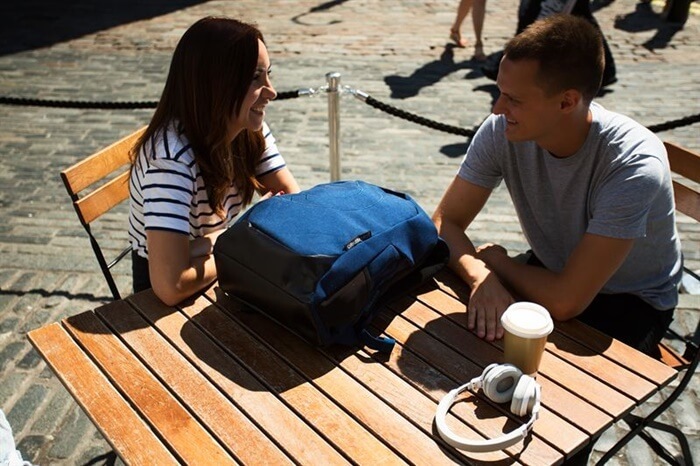 “It makes a big difference whether you’re using a backpack for ‘calm city travel’ like the RiutBag, or an ‘anti-theft’ backpack,” Sarah adds. Ever since RiutBag launched its inaugural Kickstarter campaign, a plethora of similar brands have been cropping up. Sarah thinks it’s a serious issue everyone needs to address: these anti-theft brands are exacerbating people’s fear of crime. “That’s not a positive message for the world and not something I support,” Sarah says with conviction. Admittedly, these brands set out with an honest intention, but Sarah makes a good point: is it a step in the right direction? When Sarah created the RiutBag, she had one goal: to axe the fear of crime in urban travellers. “In many developed countries, our fear of crime is much higher than the actual rate of crime. In part this makes sense: we commute, live and travel together closely in populated cities. We also carry unprecedented amounts of technology and data with us,” Sarah explains. After researching and polling users, Sarah found out that 16% of people have experienced theft whilst travelling, and 80% worry about the security of their belongings. “The gap is too great,” Sarah adds. Riut, which stands for Revolution In User Thinking, relies on teamwork and user feedback. There’s always room for improvement and every bag has the potential to grow into a better version. Like any indefatigable entrepreneur, Sarah spends her time constructively. She reserves her free time for brainstorming extra improvements for the RiutBag; and on top of that, she has a habit of cycling and walking around cities to observe how people move about. “I take my sketch pad and try to solve the problems I see,” she says about her process. 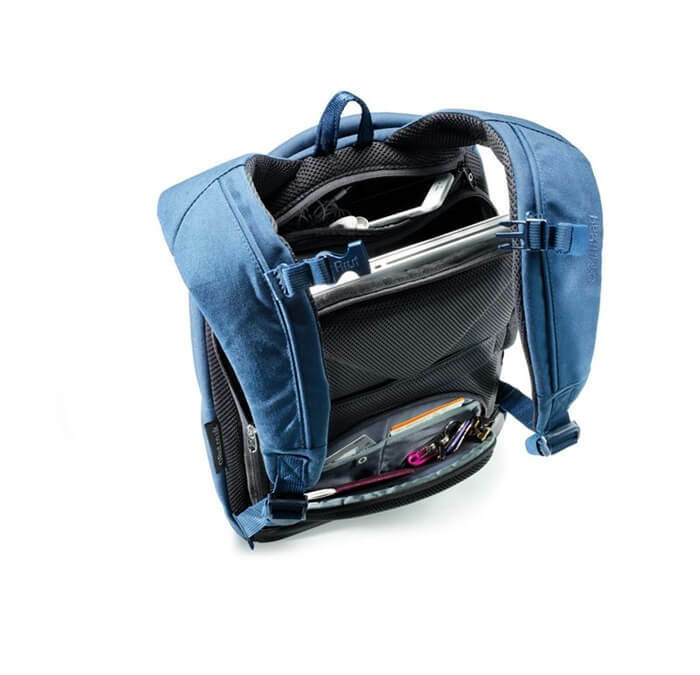 “By increasing individual RiutBag users’ quality of life by turning the backpack around, I’m working with users to making my own positive dent in the universe. 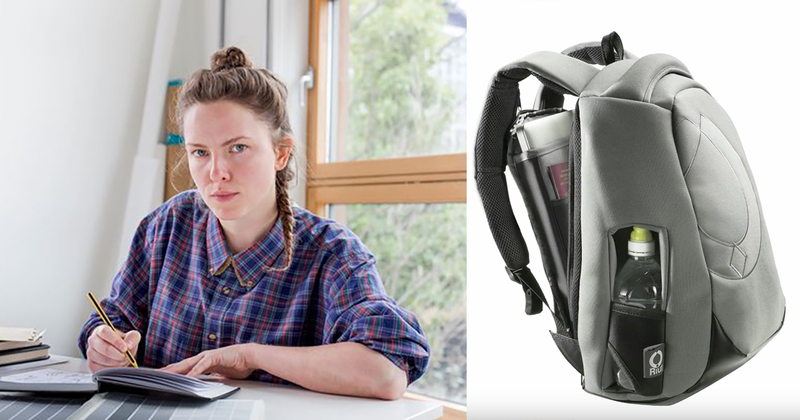 The RiutBag also shows us that mundane objects can be updated by normal people, and sometimes the answer is the opposite to the one you’d expect,” Sarah continues. A self-described user entrepreneur, Sarah believes regular folks have the capacity to solve daily life problems in the world – a sentiment that aligns with Kickstarter’s mission. “Users are best placed to spot problems and come up with solutions. The solutions that we come up with are likely to be better than those created by the biggest companies in the world,” she shares. The RiutBag Kickstarter campaigns may have ended its run for now, but the memory of 2,500 backers chipping in to bring Sarah’s ideas to life will invariably remain vivid in her mind. Before launching RiutBag, Sarah was studying political science and working in the financial sector. The backpack entrepreneur is living proof that we don’t need to have formal training to succeed in a new career path. Sarah took the leap and stuck with it. But it’s really her resilience, spirit, and authenticity that led her to create a revolutionary product that’s enkindling a remarkable sensation in the world.